Get ready for an amazing adventure to the true winter wonderland of Levi. 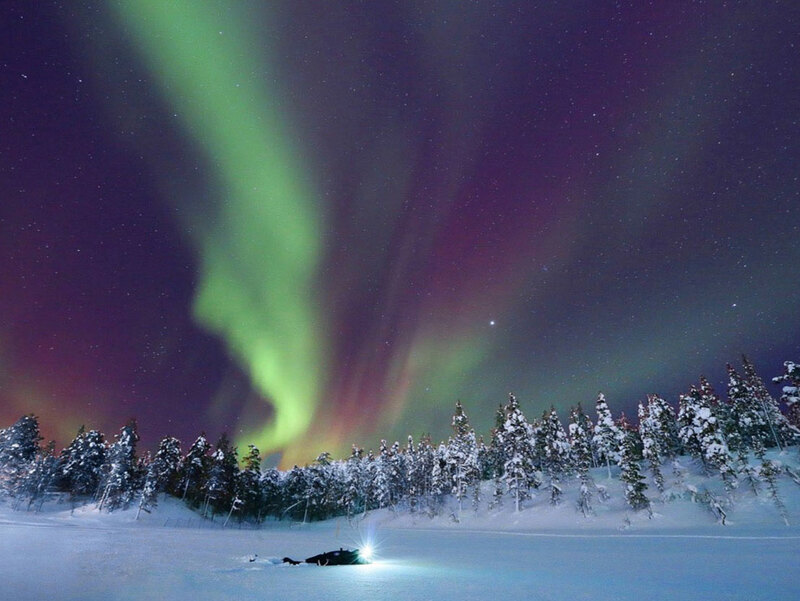 With the Northern Lights Activity Week package we prepared, you will be enjoying some downtime after the busy weeks. 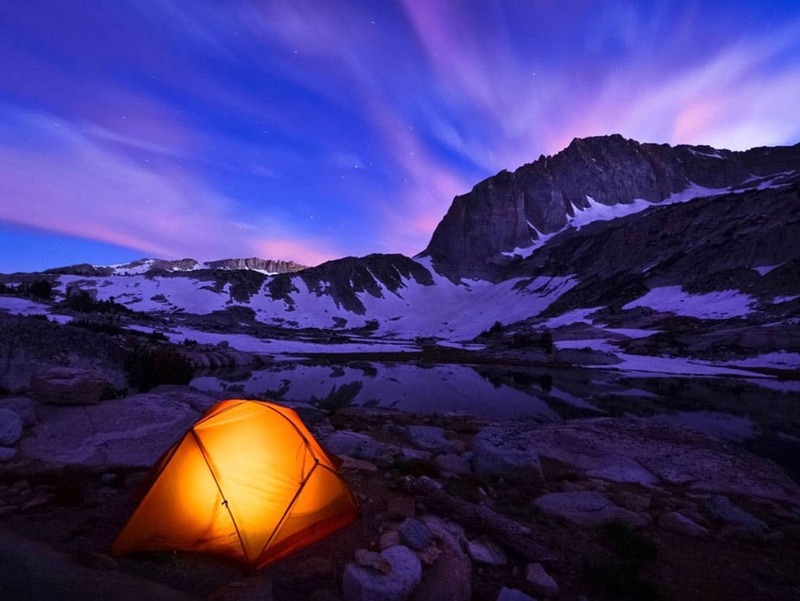 "Offline is the new luxury." Your plane descends towards Kittilä Airport, and you get your first glimpse of the winter wonderland where you’ll spend the next few days. As you step off the plane, you catch your first breath of the cold, clean air as you are welcomed by your driver who will take you to your wilderness lodge. Transfer time is about 20 minutes. Your guide knocks on the door, ready to take you dog sledding. You emerge into the cold air, wearing our comfortable, arctic-proofed gear, ready for adventure. At the husky kennels, you’ll meet the dogs, their excited barks filling the air. You are provided with all the necessary equipment and taught how to drive a team of dogs. With the rest of the family safely wrapped up in warm furs in the sleigh, you set off! As you slide through the snow and into the wilderness, the barking of the dogs subsides, and all you can hear is the pounding of paws and the sound of the sled on the snow. With a shout and a pull of the reins, the dogs turn, and you are entirely in the moment. The white and magical landscape slips by as the dogs pick up speed. Their joy at pulling the sleigh is contagious, and you see broad, happy smiles on everyone’s faces. The sun sets, the sky turns to gold, but this day will live on forever. Upon arrival, you will meet our driving instructors who will give a short brieﬁng of the upcoming activities over a cup of coﬀee. We start the driving session with an instructor, who sits in the co­‐pilot’s seat and can give you valuable hints for driving in the snowy and icy conditions. Driving instructors will advise which parts in every practice an attention will be paid to. During the program, you will improve your driving skills and learn correct driving techniques in challenging conditions. The task for the day is to learn to properly control the car in special winter conditions. Sports driving on ice is the combination of various driving seconds and practices on ice circuits. The main thing is driving itself! You will learn something new whether you are the beginner or already advanced driver. The program includes driving with rear­‐wheel drive BMW and GT3 Porsche / Mitsubishi WRC. All vehicles are equipped with rally equipment: safety roll gates, special seats, 10mm spike rally tires etc. Training sessions will be with 2 persons/car + one driving instructor. While waiting for your turn you can watch the performances of other team members and enjoy a cup of hot drink in the rally lounge. Funny car is a special-designed car which does not act as you expect. When you turn the steering wheel to the right, the car goes to the left and vice versa. Does not sound too diﬃcult, but try out yourself… it will be much trickier than you think, but we guarantee that you will hop out of the car with the laugh! 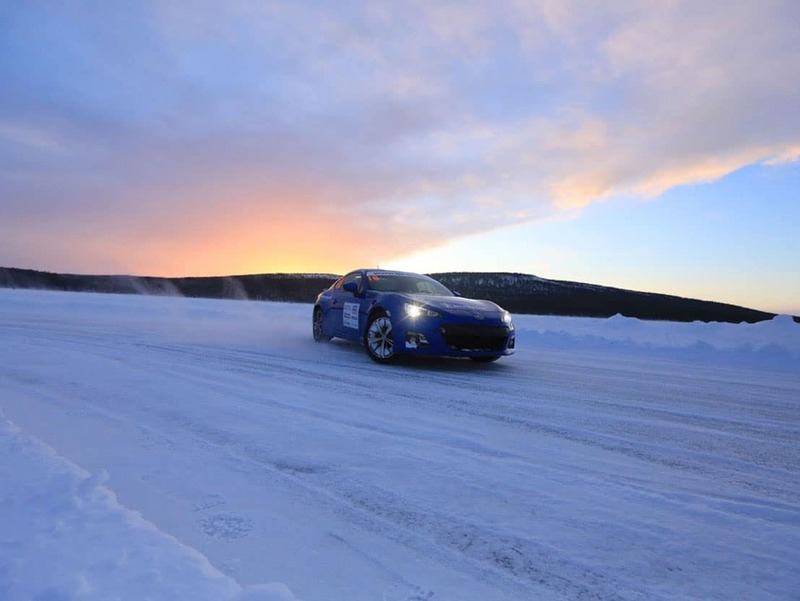 On a snowy and icy track, you can feel the speed and test the functions of four-wheel drive cross car in winter conditions. How does it feel to handle this specially made cross car between the snowbanks and slide through the corners? … This you will ﬁnd out driving yourself! Lunch – Tasty lunch will be served during the day at the cozy restaurant of the driving center. The morning starts with warm­‐up laps at the special stages. During the warm‐up session, you will prepare yourself for the challenge of the day: the race with your teammates! Participants will be given timecards and road map where driving routes and schedule for the race are written. When the ﬂag swings it is time to start the race! Everyone will drive against the clock on ﬁve special stages. In the rally competition, we will use two types of cars: BMW and Porsche /Mitsubishi WRC. When the ﬂag swings it is time to start the race! During the race, we will have a lunch break. At the end of the program, you have an opportunity to hop on board in the co‐pilot’s seat and feel how an experience. At the end of the program, we will see who the fastest driver of the team is! Prizes for the three fastest drivers will be awarded. 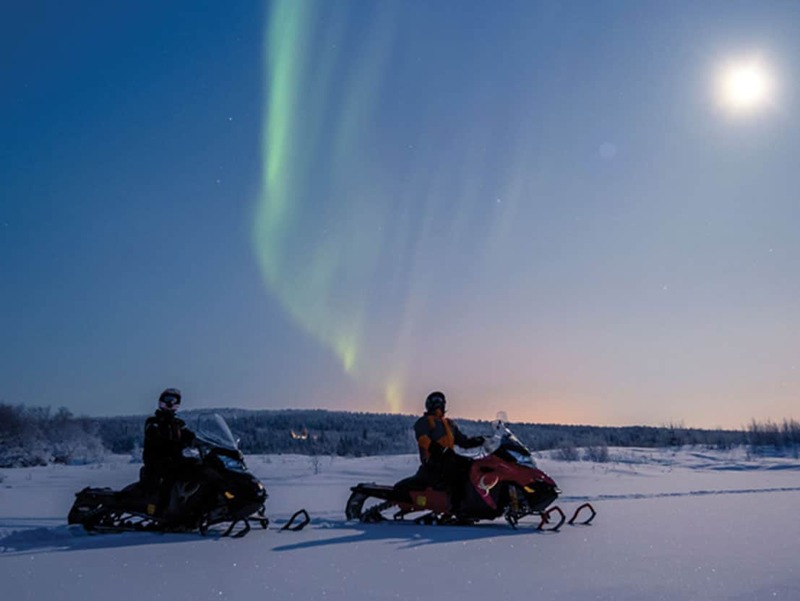 A snowmobile trip is a highlight of any arctic adventure, and not to be missed. After a brief introduction to safety and the controls of the snowmobiles, it’s time to set off on your tailor-made excursion into the wild. Through forests and over hills packed with snow, you’ll dive deep into the wilderness where no one else has been. You’ll get the chance to let rip across a frozen lake and experience the speed, the freedom, and the adrenaline rush that can only be had when these thrilling machines roar over the snow. While a driving license is needed to operate a snowmobile, children and those without licenses get to enjoy being pulled along in a sleigh. Adults and older children can also share a snowmobile with the driver as you ride through the beautiful snowy landscapes. The day of your departure has arrived, and we hope the smile on your face is as bright as the Arctic polar nights. Your private transfer is waiting, and it’s time to say goodbye to Levi. It’s been a pleasure having you here, and while it’s always sad to see people leave, we’re sure one day you’ll return again!